Some of Our Rescues and Adoptables! Click here for more on Petfinder! 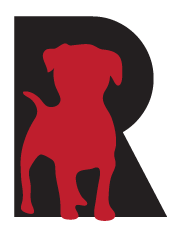 Rescue Dogs Rock is committed to rescuing homeless, abandoned, neglected, mistreated, urgent and medically-in-need dogs. If you would like to donate to our rescue mission (thank you! ), please click on PayPal donate link at the bottom of this page. We greatly appreciate your support. You may also find us on Petfinder. of a place to call home temporarily. for sound on the bottom right corner. Enjoy!